The final(!) of our Southern Steam Finale series which covers the last 18 months leading up to the end of steam on the Southern Region in July 1967. Here we use material that was not included in the first 9 volumes plus a few minutes of early preservation footage; but even that is from over 30 years ago! 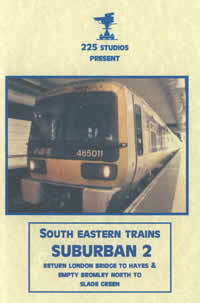 Luckily some Southern engines survived to bring back memories of those halcyon days. We look at some of the older classes the Lord Nelsons, King Arthurs & Schools, which although all withdrawn in 1962, have examples which have been in steam since July 1967. 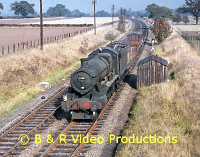 Twenty years on from the end of steam, Merchant Navy "Clan Line" was seen on the Blackmore Vale Expresses from Salisbury to Exeter, with grateful thanks to Gerald Daniels the then Area Manager. Bullied Battle of Britain 34067 "Tangmere" and West Country 34092 "City of Wells" are also seen on specials, some far away from their comfort zone. But back to 1967. The majority of the engines at the end were unkempt but not unloved by their drivers, with many a tale being told of a Bulleid Pacific thundering along the track at over 100mph! Most of this volume concentrates on the last steam main line from Waterloo to Bournemouth and Weymouth, but we also take a trip across the Solent to the Isle of Wight to see the Victorian Adams 02 class 0-4-4 tanks. These really useful engines, were sent to the Island by the Southern Railway in the 1920s to replace the ancient engines inherited from the various Island railways. 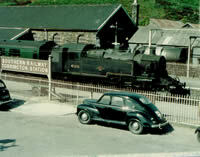 They lasted to the end of steam on the Island, and one W24 "Calbourne" has been preserved. As well as the more glamorous express engines, we see Urie and Maunsell S15s, Maunsell N & U class Moguls, Bulleid's Q1s and the USA 0-6-0 dock tanks. 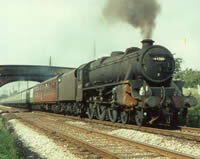 Standard Class 4s & 5s are seen, working alongside Standard Class 3 and 4 tanks. 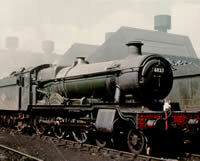 LMS Black 5s and Ivatt tanks are also seen plus A4 60024 Kingfisher and A2 60532 "Blue Peter" on enthusiast specials. So pour yourself a glass of Tizer, tuck into that individual apple pie and sit back and enjoy the DVD! Cover photo:- Keith Pirt/Courtesy Book Law Publications Schools Class 30926 "Repton" passing Paddock Wood, 1962.